So I jus tposted on another topic about this but thought I'd post here as well. As i stated Zoey has a very sensitive stomach and often has a loose stool. Most recently she was kind of stressed out when we left for vacation for a week and our dog sitter had to clean up quite a mess on the last day we were gone. When we get back I called the vet to see if I could pick up some flagyl and he recommended we first try FirmUp before we go to the medications. 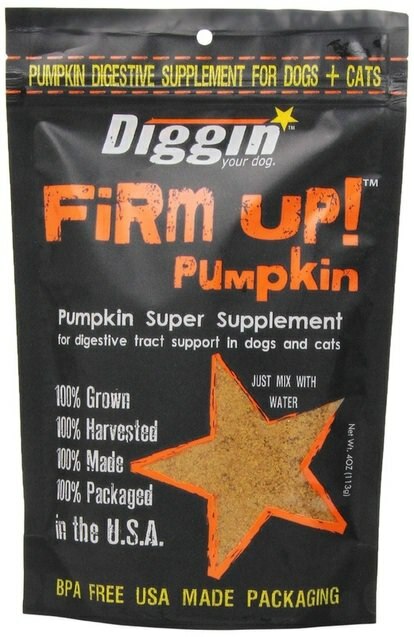 Firm Up is essentially just ground up dried pumpkin powder and you mix it 1/1 with water. It worked great after a few tsp later she was getting back to solid stools again. Now I just kinda give her a tsp every now and then if her stool seems like its getting a little soft. I would definitely recommend it.